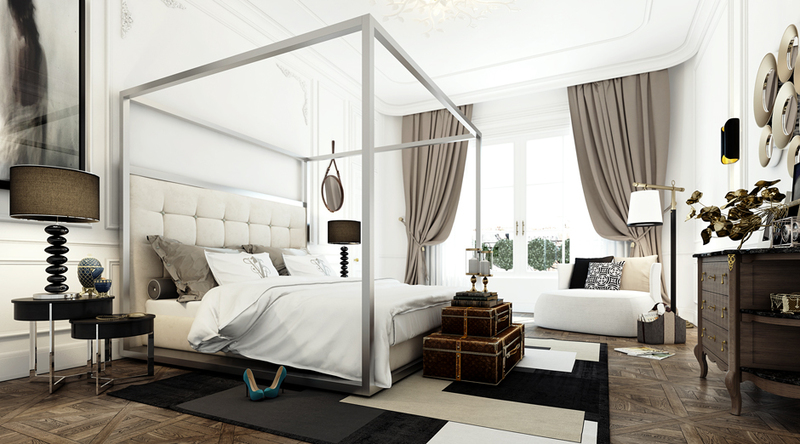 23 | Designer: FabrykabarwThe last apartment comes from the designers at Fabrykabarw. 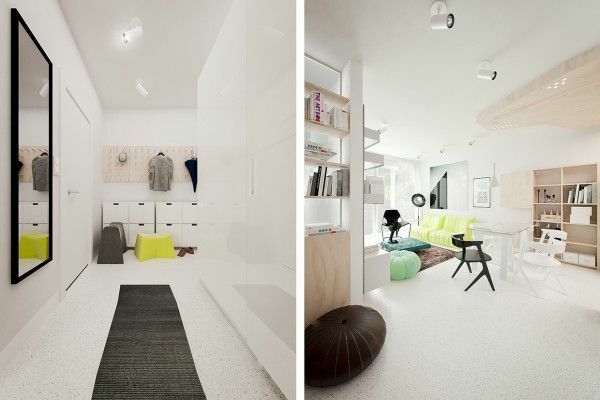 It measures 41 square meters (441 square feet) and is located in Warsaw, Poland. The space is designed for a couple that lives somewhat of a nomadic lifestyle and that certainly informed the interior choices made. The design is not the poshest (e.g., not the most expensive) but it works for the people who make it their home. 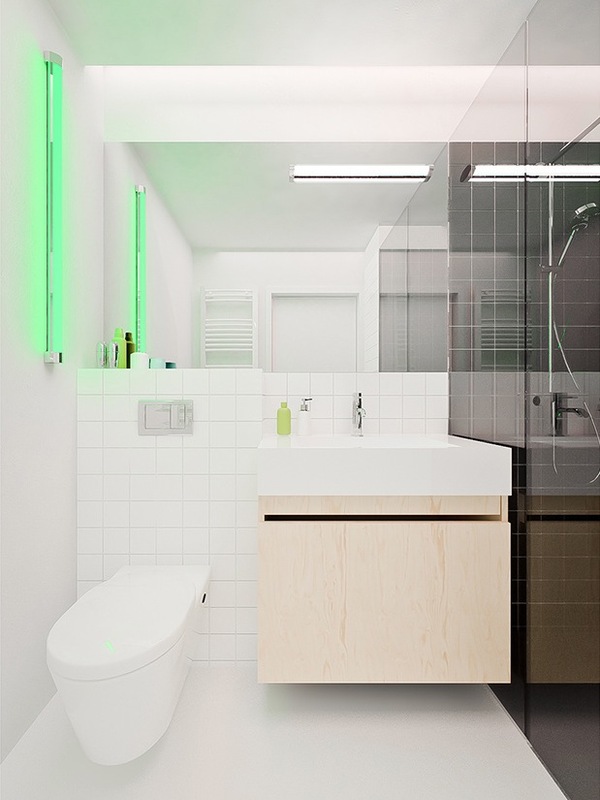 The use of white makes it easier to switch things out and up either when the current occupants want to make a change or a new owner is ready to come in. 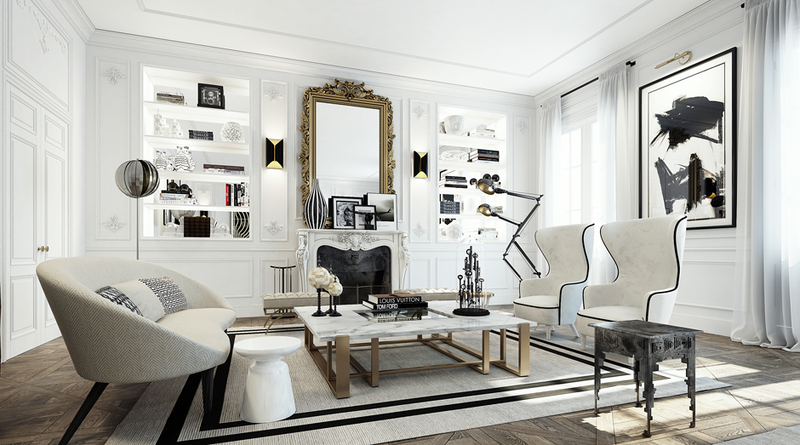 I’m closing out this post on a nearly all-white room (from Bolig) to underscore again how a lot of white can act as a big, beautiful canvas (like this post’s first image). 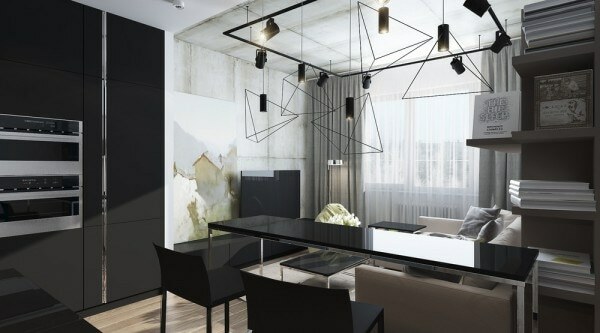 Here, though, you’ll see that when you create an intentionally minimal space, your mix of elements of different styles become key pieces in a smartly curated room. Committing to a certain feel or vibe in a space can give you a lot of leeway when it comes to choosing furniture from a wide array of styles. In this room found on Domino, the furniture arrangement is casual, the seating heights low and the whole room feels like a cool lounge. Never underestimate the power of elements that feel earthy and of natural. In this room from Vtwonen, a mix of modern chairs and a heavy, rustic wood dining table complement one another thanks to their earthy materials. If you set a subtle, simple color palette (in this room by Christy Allen spotted on Desire to Inspire, its gray and shades of blue mixed with a light to medium-brown wood tone), you can have a room with furniture that focuses on contemporary comfort but also mixes in a rustic live-edge table detail and a surprisingly modern acrylic table. 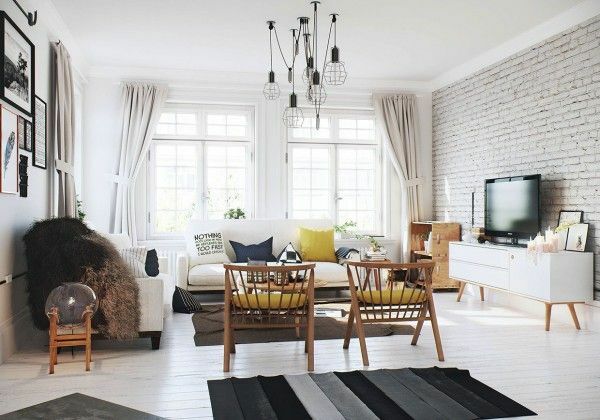 Sometimes mimicking colors and design elements (like in this room we spotted on Vtwonen) can be the ticket for combining two furniture styles that are quite different. In the living room we see a comfy, contemporary couch nestled near a metal industrial-style side table, but the colorful medley of hues in the throw pillows is mimicked by the colorful petals of the wildflowers next to it. 19 | The faux deer head adds a special charm to the room. 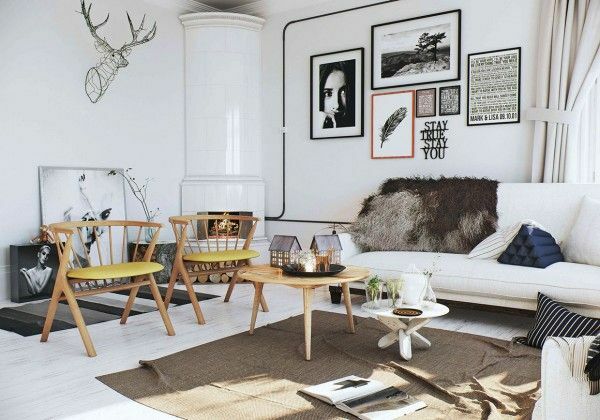 Do check out our post on faux deer head home decor if you want to look at ways to use it to enhance the appearance of your room. 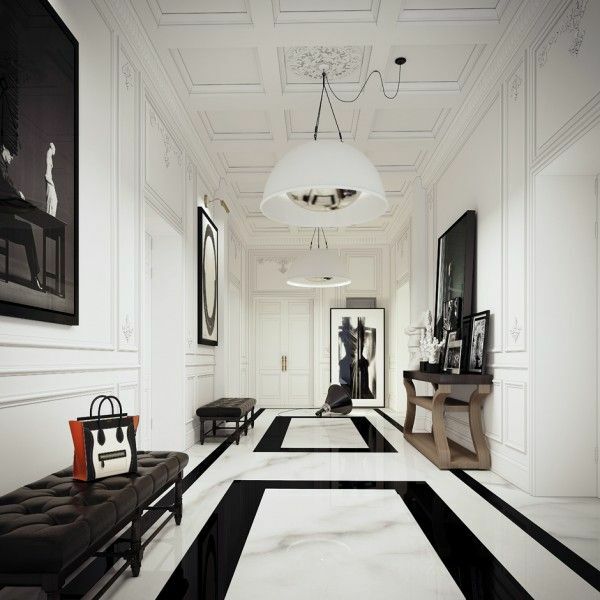 1 | Designer: Ando StudioThe first space, from designers at Ando Studio, uses white to create a truly posh look. 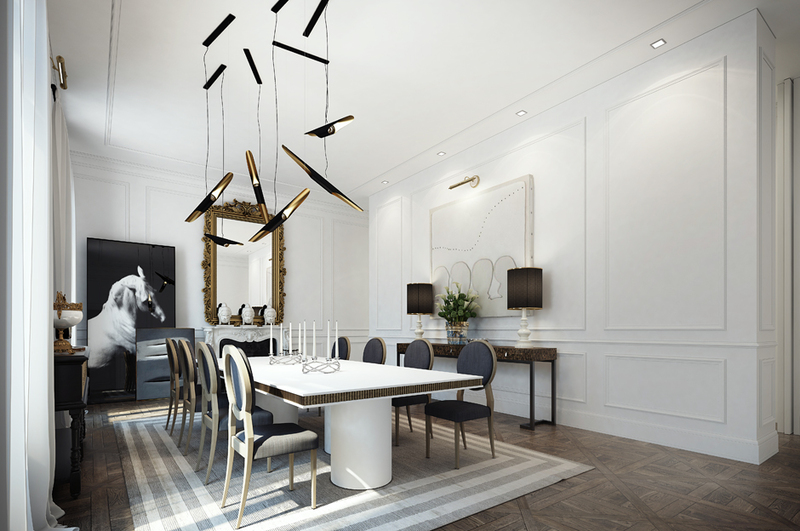 In contrast to white molded walls and linen sofas, are a few bold black stripes and of course some gilded accents. 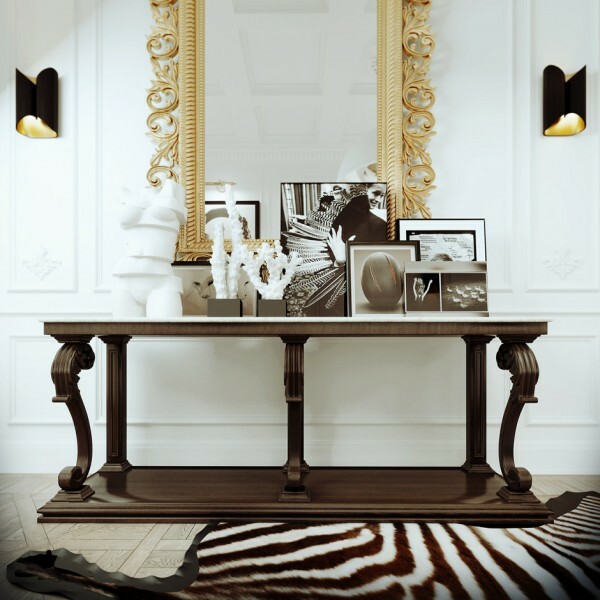 An ornate mirror, a silvery candlestick, and even a striking rusted gear art piece/conversation starter each create their own force fields of interest, adding their personality to the otherwise white, chilled out space. 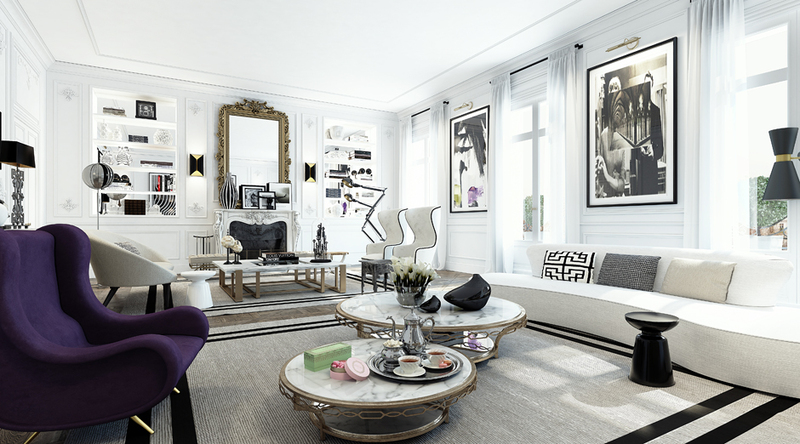 With the addition of a plush purple modern wingback chair, this white house takes a turn towards contemporary royalty. 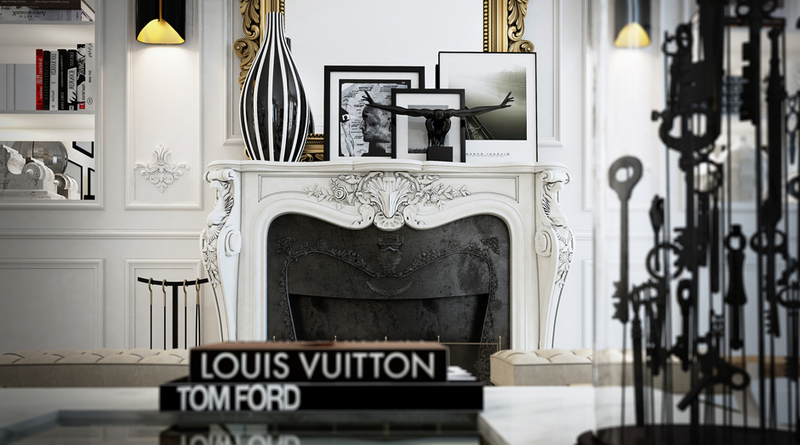 Above: A strong focal point (here, an architecturally beautiful black fireplace and white brick wall behind it) combines with modern, neutral furniture without a lot of ornate details. 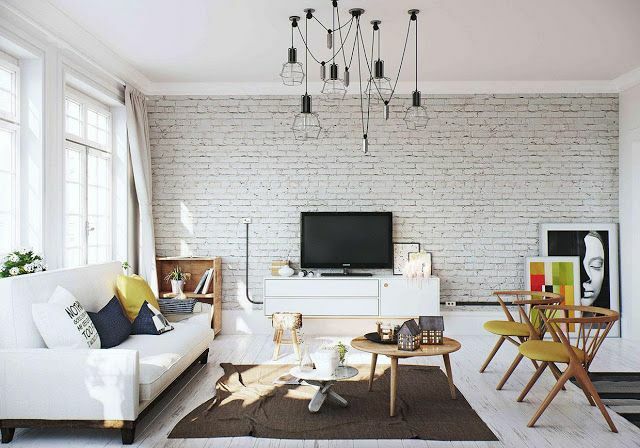 The white walls are a canvas that lets a lot of different color and styles meld together nicely. Spotted on Design*Sponge. 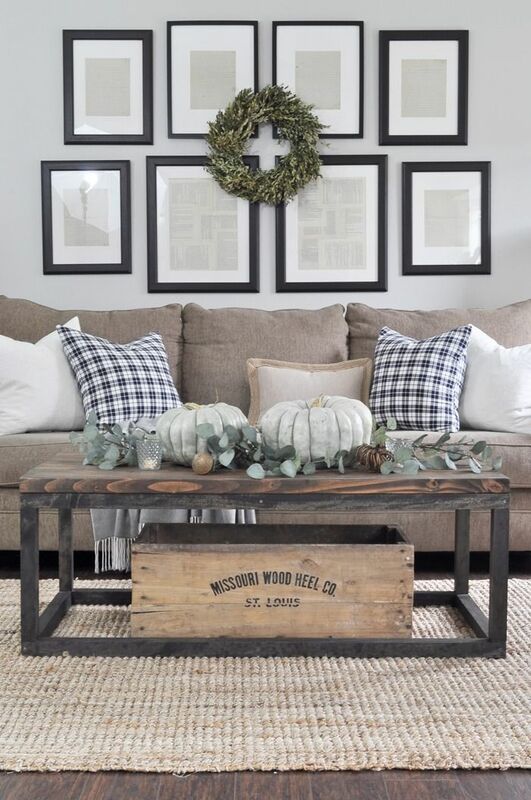 Sticking to one style in your living room is one way to decorate. 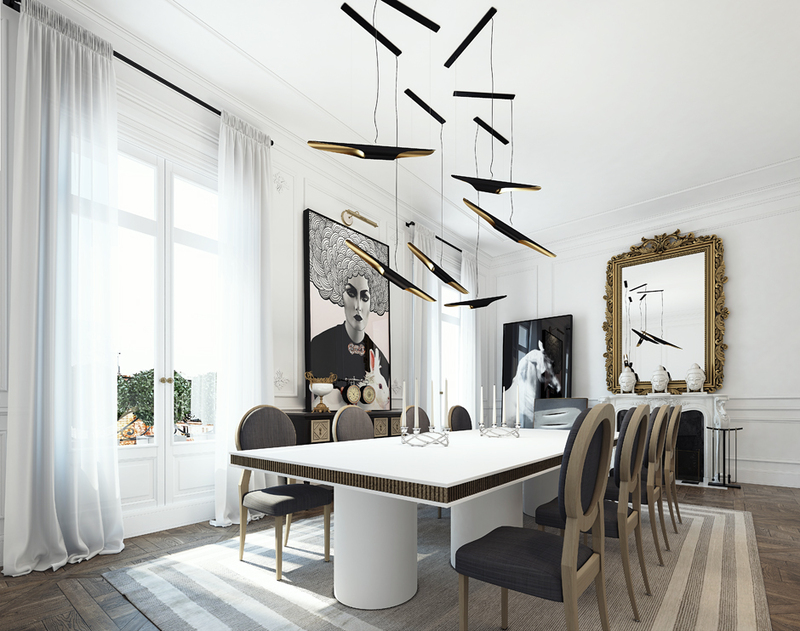 But for some, the ideal way to fill a room is with an eclectic mix of furnishings that fit together to create a space that’s wholly unique. How do you accomplish such a feat, exactly, without your rooms coming out looking like a mess? These seven rooms hold secrets to successfully designing eclectic spaces — use some of them to mix styles in your own home. A dark wall color cocoons this whole living room spotted on Camille Styles, and while there are a lot of different shapes and styles of furniture at play (as well as wood and metal finishes) the room works thanks to a commitment to bold color and subtle pattern. 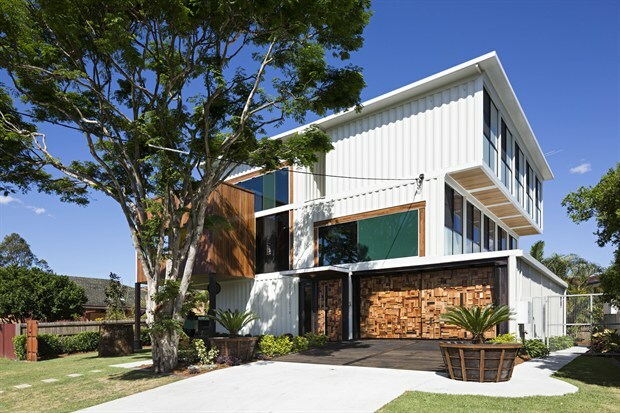 18 | Architect: Image Box StudiosThe next home has that distinct Scandinavian style that we have come to know and love on this site. Coming from Image Box Studios, shades of white are the perfect complement to the minimalist style. 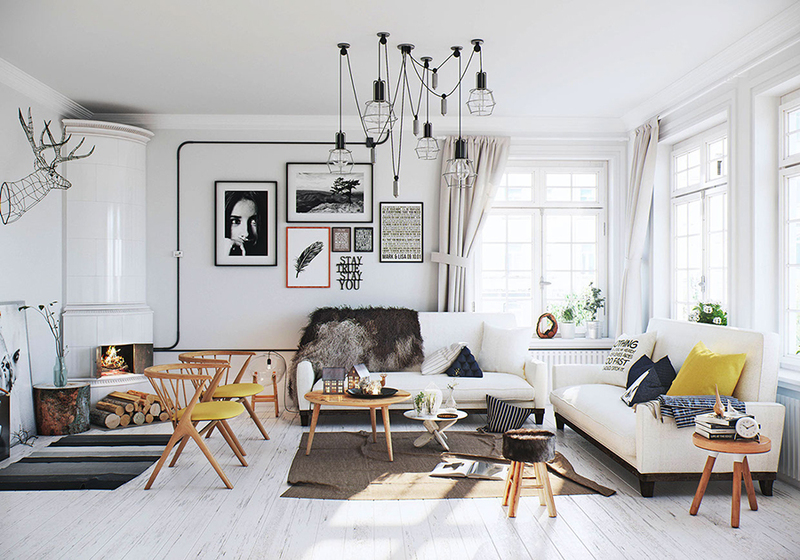 Whitewashed wood floors add their own rustic flair, while such quirky pieces as a wireframe deer’s head and the oh-so-hip caged light bulb fixtures make the design perfectly homey, cozy, and warm.